We are thrilled to share our first Positive Impact blog. Our goal is to share how environmental, social, governance and economic issues impact decision-making for investors, employees, customers, companies and other stakeholders. These issues are often complex and multi-faceted. Solutions may require major structural changes and significant resource reallocation. We do not claim to have all the answers, but we do hope that greater education and conversation will lead to a more robust market of ideas and opportunities. Each article will feature a spotlight topic and explore stakeholder engagement and advocacy, investment considerations, trends, and the role of goals and standards. We will also feature organizations dedicated to addressing the spotlight issue. In 2017, women represented 57.2% of total college enrollees and 58.5% of college graduates. Women also represented 58.3% of masters and 52.2% of doctorate graduates. This is not a new trend. Beginning in 1978, and every year since then, more than half of college enrollees and graduates have been women. Growing college enrollments have pushed women to hold nearly half of all U.S. jobs. In spite of more women graduating college than men for the past forty years, women account for less than a quarter of board seats at U.S. companies. One out of every five of the largest 3000 US companies has an all-male board of directors. Women hold the top executive position, CEO, at only 5% of the top 1000 companies. This disparity has not gone unnoticed. 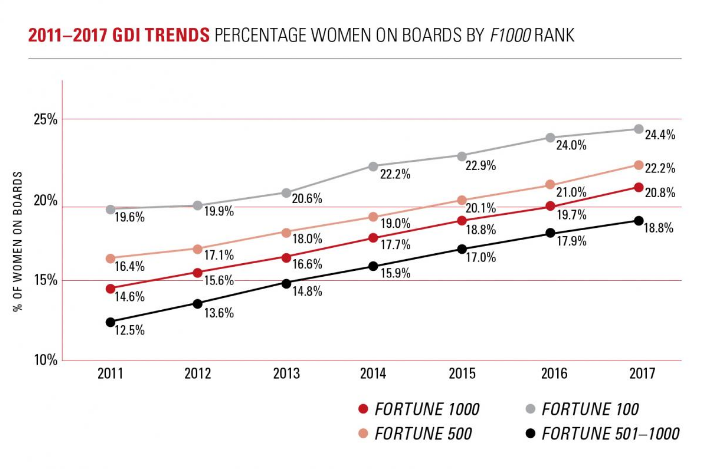 Companies are facing increased pressure from shareholders and different stakeholders, particularly their employees, to address the gender gap in their board ranks and pay. The gender pay gap is the difference in average annual earnings between men and women. This disparity was 20% for women with full-time employment status in 2017. A common defense of the gender pay gap is the experience gap. Adjusted for experience, the pay gap narrows to 2%. While this may partially explain the pay gap, it raises a potentially larger issue of women having fewer opportunities for advancement. Recently, Amazon formally adopted a shareholder board diversity policy. It requires formal consideration of women and minority candidates when selecting new board members. A major force for the change was a push from its own employees. U.S. banks, such as JP Morgan, voluntarily revealed pay gap data for their businesses. We expect continued momentum for gender diversity. First, growing evidence indicates that greater diversity, in terms of gender, ethnicity, and experience, drives stronger financial performance. Read the ‘Why Diversity Matters’ report. Second, competition for talent and skills is fierce, especially in a tight labor market. Companies with below peer gender diversity in their boards and workforce, limited pay gap disclosure and poor social ratings or perception will find it increasingly difficult to retain and attract talent. Finally, investors and consumers are voting more with their capital and spending decisions, and as women continue to increase as the primary financial decision-makers, we expect greater engagement and progress on gender-related issues. We believe the tipping point is near as corporate self-interest (historically, profit maximization) appears closely linked to workforce, management and board diversity. Engagement is a critical part of aligning corporate and shareholder interests. Bigelow closely monitors the proxy voting guidelines for asset managers used in our Positive Impact portfolios. Blackrock and Calvert are two of the current asset managers in these portfolios. 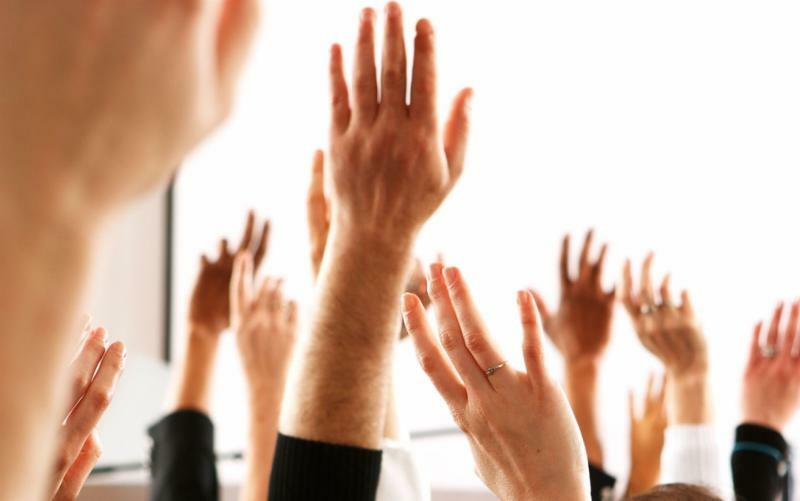 Diversity is increasingly important to employees, stakeholders, and investors. Two tools for investors to express views on a company’s policies are shareholder proposals and proxy votes. Shareholder proposals are distributed to shareholders via proxy statements and proxy votes are taken. In 2017, Blackrock, the largest institutional investor with over $6 trillion in assets, amended its proxy voting guidelines to include an expectation of at least two women directors on each board. State Street Global Advisors, the third largest institutional investor, voted against the board chair or nominating committee at nearly 400 companies that lacked a single female director. Investors also use shareholder proposals to encourage company action. Calvert, a global leader in responsible investing, filed two board diversity shareholder resolutions for the 2017 proxy season but chose to withdraw them after successful engagements. Zillow Group agreed to specify diversity of “gender, race and ethnicity” among the qualities the board seeks in its director search. Learn about the Calvert Women’s Principles. In 2015, nearly two hundred countries adopted the 2030 Agenda for Sustainable Development at the United Nations. Seventeen Sustainable Developed Goals (SDG) and 179 specific targets were established. 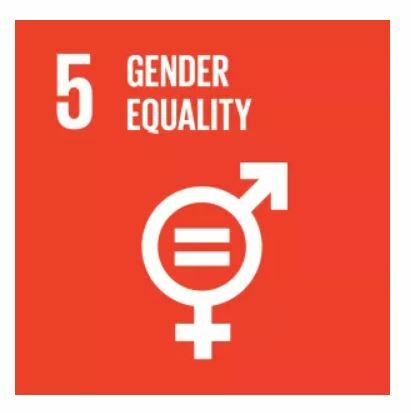 SDG 5: Achieve gender equality and empower all women and girls focuses on ending discrimination and expanding access to economic resources for women. Several SDGs incorporate diversity and equality targets, including SDG 10: Reduced Inequalities and SDG 8: Decent Work and Economic Growth. The Global Reporting Initiative (GRI) provides sustainability reporting standards. The GRI standards are the first and most widely adopted global standards for sustainability. The standards are rooted in the public interest and take a multi-stakeholder user approach. GRI’s Diversity and Equal Opportunity Standard 405 sets out reporting requirements on this topic. The Sustainability Accounting Standards Board (SASB) develops sustainability accounting standards for the U.S. capital markets and takes an investor user approach. SASB identified five broad sustainability dimensions: Environment, Social Capital, Human Capital, Business Model & Innovation, and Leadership & Governance. Human Capital considers diversity and inclusion, fair labor practices, compensation and benefits, and other diversity-related issues. Learn about the SASB framework. Two core pillars of Bigelow’s Positive Impact portfolios are Social and Governance. Both pillars include policies and issues related to gender diversity and advancement opportunities. Social factors include policies and programs related to labor practices, human capital, and workforce opportunities. Governance factors include executive oversight, board ethics, board independence, and board diversity. Bigelow utilizes internal and external ratings information to develop portfolios with above-benchmark social and governance ratings. Portfolios also include above-benchmark board diversity and independence. To learn more about the organizations they support, visit the Maine Women’s Fund website. Thank you for taking the time to read through our first Positive Impact news post. Bigelow is passionate about considering how ESG issues affect our clients as well as our local community and the larger world in which we all live. We hope that you find this information helpful and relevant. We look forward to continuing to share our thoughts and listening to yours on important topics throughout the year.